As I've carped on numerous occasions, the cyberweapons debate is far different than the nuclear proliferation debate. Why? Again, Grasshopper, it's because nuclear weapons require government-level critical mass to develop, whereas cyberweapons require just one man, just one connected computer, and a smattering of genius. 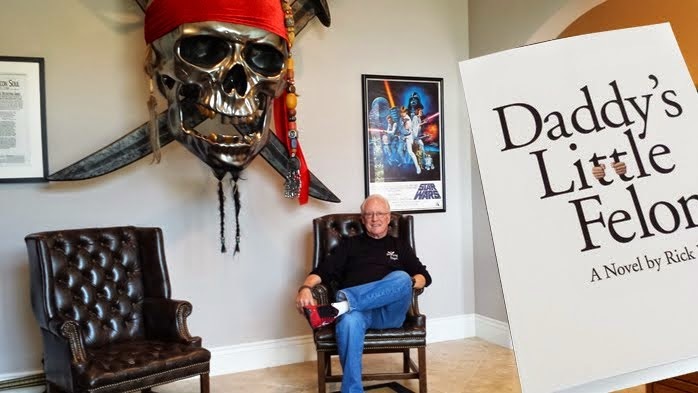 We have a whole new ball game, foretold by such science fiction authors as Frank Herbert (see one of my many posts here). The tripwire alarm has already sounded, where one highly motivated individual can—at a minimum—seriously inconvenience large numbers of people. And to continue my carping—carpe diem—the solution is to make any type of cyber incursion overwhelmingly risky to the offender. Licensed and bonded cyber privateers, working under constraints of my Cyber Privateer Code (see it here), are the only rational answer. And if you want to see the havoc just one individual could wreak, check out Daddy's Little Felons (here). Hackers can obtain medical and payment records from health-care providers. Crowdfunding powerhouse Kickstarter was hacked. Iran's infiltration of the U.S. Navy computer network is "more extensive than had been previously thought…"
My being right on this issue is small consolation. 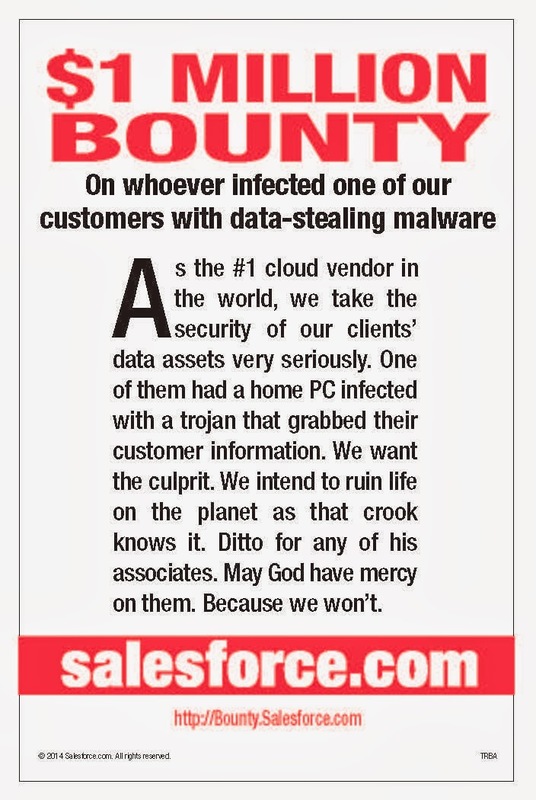 Exactly three years ago (February 7, 2011), I published a Virus Report Card (see it here). Earlier this week, I received an inquiry from a senior member of the cyber threat analytics team of a major financial institution. He asked if I intended to update that information. I confessed that I had no plans in particular to update it, "although that could change as new intelligence comes to me from some security insiders with whom I stay in touch." I also confessed to this individual that my interest in The Perfect Virus was as a backup to my fictional endeavors, and that the real virus-tracking guru was Brian Krebs. A false-flag operation trying to point to Spanish-speaking creators, when in fact it is most likely a Chinese or Russian operation. A government or state-financed operation. 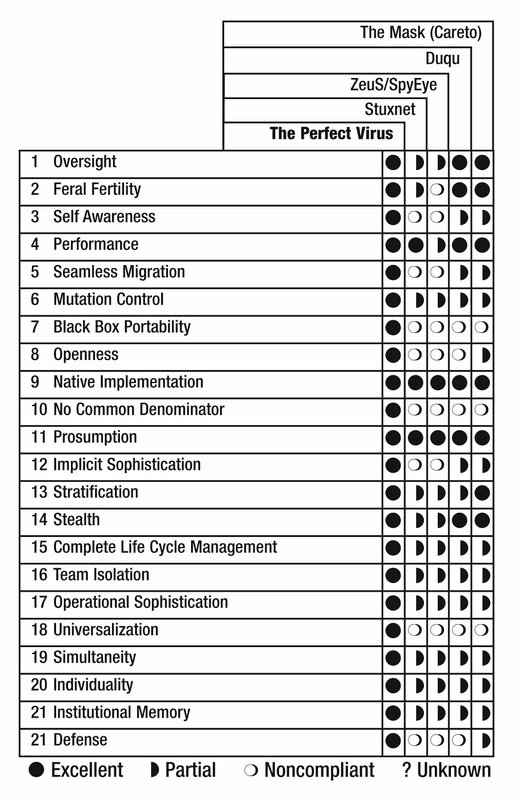 Capable of more advanced Oversight (principle #1), Feral Fertility (#2), Openness (#8), Stratification (#13), Stealth (#14) and Defense (#21). My closing comment to the individual who originally contacted me kind of says it all: "Thanks for your note. Too bad U.S. cyber law has you playing with one hand tied behind your back."